Delphine Bedel | Photographer, publisher and curator, based in Amsterdam. Founder Monospace Press. PhD Researcher at Leiden University/ PhDArts. Printed Matter presents the seventh annual NY Art Book Fair, from September 28 to 30, at MoMA PS1. The NY Art Book Fair is the world’s premier event for artists’ books, catalogs, monographs, periodicals, and zines presented by more than 200 international presses, booksellers, antiquarians, artists, and independent publishers from over twenty countries. 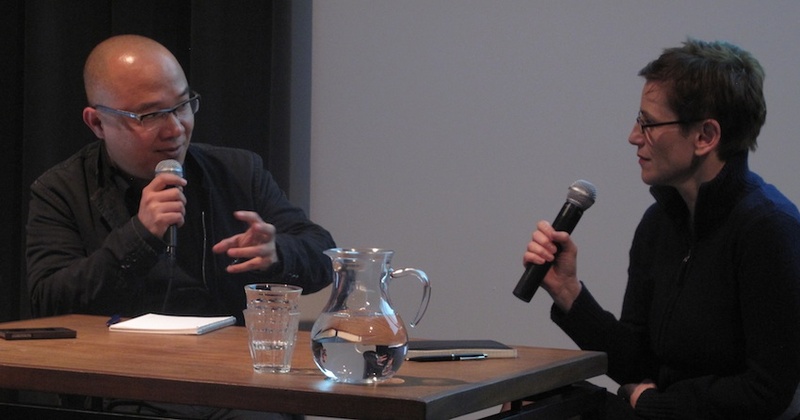 Lucy Lippard and Paul Chan are the keynote speakers for this year’s Contemporary Artists’ Books Conference—a dynamic, two-day symposium on emerging practices and debates within art-book culture. Over 25,000 artists, book buyers, collectors, dealers, curators, independent publishers, and other enthusiasts attended the NY Art Book Fair in 2012. Nuit des Images 2012, starting 6pm. On Print – the small photography book fair – gathers this year twenty art and photography publishers from all over Switzerland. Book launch editions hard copy 2012, book signing. The artists and designers will be present. After the sensational success of the Nuit des images 2011, the Musée de l’Elysée is set to greet a large public once again with a festive event and unique program. Photography, video and cinema will be celebrated on the seven screens scattered throughout the museum’s gardens. PROSPECTUS traces the birth of twins; the 1837 public art school, and exhibition making as an educational practice. And their subsequent development; the professionalisation of the 1900, political upheavals in the 1960’s, the over administration in the 1990’s, privatisation in the 2010’s, and on into their possible futures. 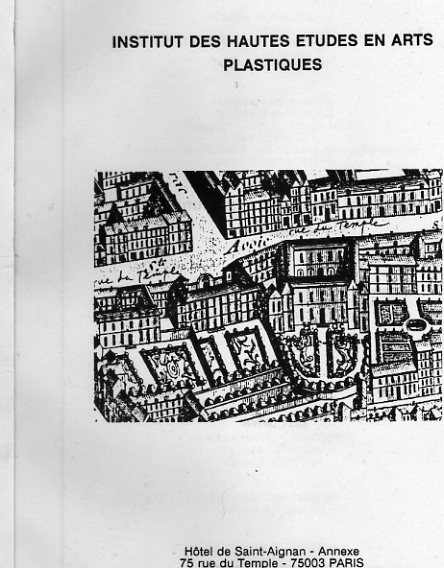 PROSPECTUS will include rarely seen, primary materials from the first Government School of Design, Pontus Hulten’s Institut des Hautes Etudes en Arts Plastiques, remnants from the Inner London Education Authority’s teaching collection, documents from the The Fresno Feminist Experiment lead by Judy Chicago, a Life Drawing class, revisit The Devil’s Feast through archival material held in the Special Collection at Chelsea College of Art and Design, and much else besides. PROSPECTUS will feature specially commissioned artworks, an evolving exhibitionary architecture, participatory archival research, a teaching collection, screenings, life drawing classes, and a diverse public programme of talks, performances, discussions and walks. Participants include Viktor Timofeev, Sam Griffin, Dr Malcolm Quinn, Celine Condorelli, Redmond Entwistle, Dr Linda Sandino, Lawrence Lek, Prof. Stephen Farthing, Matthew Cornford and John Beck, Dave Beech, Naomi Salaman, Fay Nicolson, Delphine Bedel and many others. ‘The Future of Artist Books’ is a series of talks, workshops and events aiming to present the most innovative publishing projects by artists and designer’s working with photography, text, printed matter and e-publishing. The artist book is a medium central to contemporary artistic practice. The artists / publishers will present their recent editions, and discuss new modes of production, collaborative practices and distribution, from print on demand, serial editions to education projects, as well as their economical models. Taking the occasion of the first retrospective exhibition of ‘The Dutch Photobook’ currently on view at the Fotomuseum in Rotterdam, this evening will focus on emerging practices in photo books in the Netherlands and internationally. The guest’s editions will be presented at PrintRoom for a month. The Future of Artist Books is a transdisciplinary project will include talks, workshops and presentations. 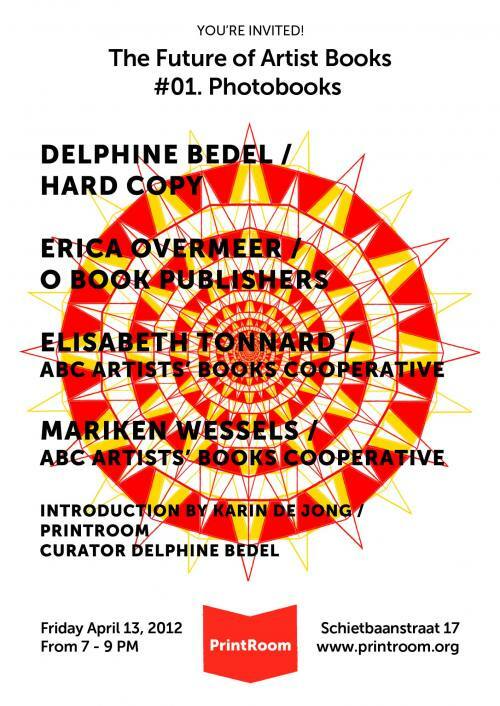 It is a collaboration between PrintRoom and the Amsterdam Art/Book Fair and other venues. Upcoming guests are Anouk Kruithof, Laurence Aërteger, And Publishers, and more. Talk by Ou Ning, one of China’s leading independent thinkers, as he expands on the mercurial possibilities in the art world, cross-disciplinary explorations between art, architecture, and literature, and having multiple hats as artist, editor, writer, activist, and curator. This evening is organized by Witte de With Center for Contemporary Art, and presented in collaboration with PrintRoom. © 2010 —Delphine Bedel. All Rights Reserved. Powered by Wordpress.